With the migrant crisis continuing to peak for Europe's Mediterranean nations, and as it has lately become politically disastrous for others like Germany, resulting in a half-baked quick fix offered by the European Union to pay out 6,000 euros ($7,000) for each migrant a country takes in, statements coming Spain's political leaders suggest its reputed "tolerance" as a country open to migrants is increasingly fragile with resources and infrastructure stretched to the limit. 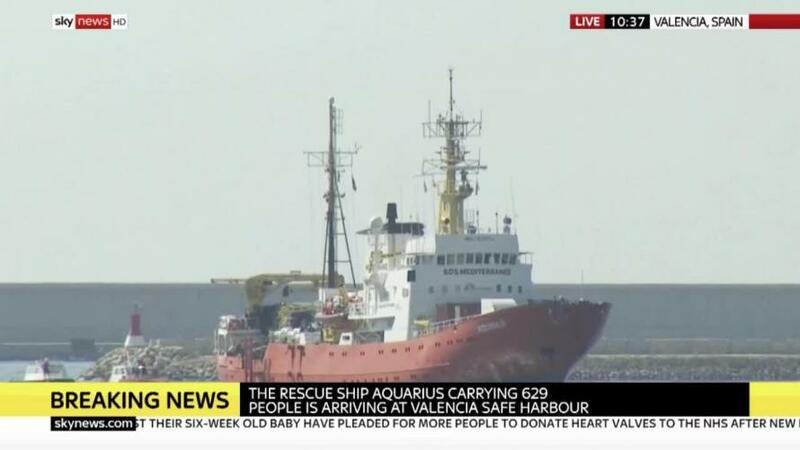 What The Guardian observed earlier this summer now seems to be playing out: though there are happy scenes when migrants finally disembark on Spanish soil, such scenes inevitably "have been followed by the relentless task of coping with new arrivals." "Right now we’re seeing double the numbers arriving compared to the same period last year and last year the number was double that of the previous year," David Ortiz, the Red Cross migrant and refugee department head in the southern coastal port city of Málaga, told Politico. "Can we manage the arrival of 300 people? Yes. But if those 300 people arrive on the same day, it gets difficult,” he added. While others like Italy and Malta have recently turned away large boats full of hundreds, sparking a feud with EU administration and other countries over closing their ports, Spain's newly in office Socialist prime minister, Pedro Sánchez, has signaled an open-door "welcoming" policy of being ready to accept the EU's call to accept migrants; however a recent surge in seaborne entries could test Spain's "fragile tolerance" past breaking point. The funds, Reuters explains based on a statement from the Prime Minister's office, "will go toward covering the initial costs of managing arrivals on the beaches, from staff to hand out blankets and food to managing the process of identification and determining whether people qualify for asylum." 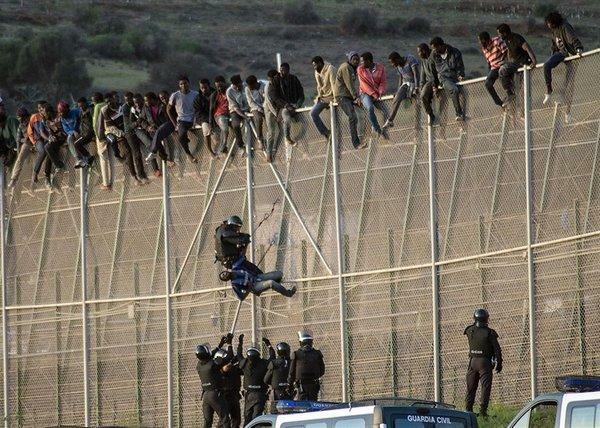 The Politico report observes that Spain has managed to escape the domestic turmoil facing other European nations with the recent years' massive uptick in unauthorized or illegal immigration. Even when the economy hit a slump, between 2008 and 2012, immigration rarely featured on the political agenda. While other EU countries have seen the arrival of anti-immigrant parties, the main new political force in Spain most frequently described as “populist” is the leftist Podemos, which advocates a liberal policy on immigration. But while [sociologist Kiko] Llaneras doesn’t forecast a sudden backlash, he does believe that there is a chance the political mood could shift. Meanwhile, Reuters reports that the only significant early push-back against Sanchez's liberalizing immigration policy is the conservative People's Party (PP), which has warned "against creating a 'pull factor' for migrants seeking a better life in Europe." The "pull factor" recently in action this summer. Various reports have have of late noticed a trend of generally greater acceptance of certain types of migration, notably for example, immigrants from Latin American countries integrate with greater ease. But Moroccans and other North Africans tend not to, as Politico observes, citing Vox Party's Ortega, "With Moroccans currently representing the biggest single nationality arriving in Spain — 40,000 came last year, according to the National Statistics Institute — Ortega is predicting (some would say hoping for) integration problems." Sanchez’s office responded to the conservative criticism in its statement: “Rather than a pull factor, we could talk about a lack of foresight in the last years of the previous government, which did nothing about increasing arrivals, and obliged this government to take urgent steps,” according to Politico. 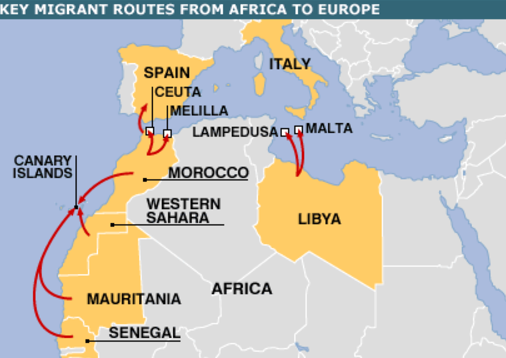 The shift toward erecting a migrant transit response infrastructure which could fuel even more seaborne migration, combined with migration routes recently going westward away from Greece and Italy, means Spain is already finding itself as the next epicenter of Europe's migration crisis.